CHRIS MURPHY is a trial attorney and certified civil court mediator. His practice areas include both criminal and civil law, with a focus on condemnation law, property litigation, constitutional matters and insurance defense. 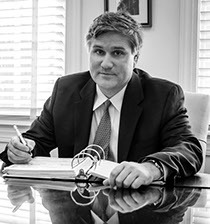 He has handled numerous cases in all South Carolina state, federal and appellate courts. 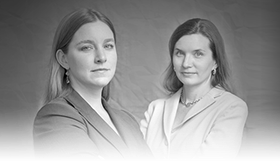 Chris has served as Special Counsel to Williams & Walsh in the practice area of eminent domain/condemnation law since 2010. After graduating from law school in 1998, Mr. Murphy accepted a position as a law clerk for the Honorable John L. Breeden Jr. of the South Carolina Fifteenth Judicial Circuit. He later served as an Assistant Solicitor for the Ninth Judicial Circuit, as well as prosecutor for the City of Charleston. He subsequently became a partner at the Stuckey Law Offices, with a practice focused on civil and criminal litigation. In 2000, Mr. Murphy was certified as a mediator and arbitrator by the South Carolina Council for Conflict Resolution. He also serves as a member of the Federal C.J.A. Panel. In addition, Mr. Murphy has taught multiple seminars on condemnation to lawyers across the state. In 2013, Mr. Murphy opened his own practice – The Chris Murphy Law Firm. Mr. Murphy graduated from the University of South Carolina School of Law in 1997. Mr. Murphy, a Dean’s List student, also received the Strom Thurmond Merit Scholarship Recipient 1996 & 1997. While in law school, Mr. Murphy interned for The Honorable Bristow Marchant of The United States District Court and served as a research assistant for Professor Kenneth W. Gaines. Mr. Murphy is a Member of the Sons of the American Legion, Post 147, The Charleston Squash Club and The Hobcaw Yacht Clubs.